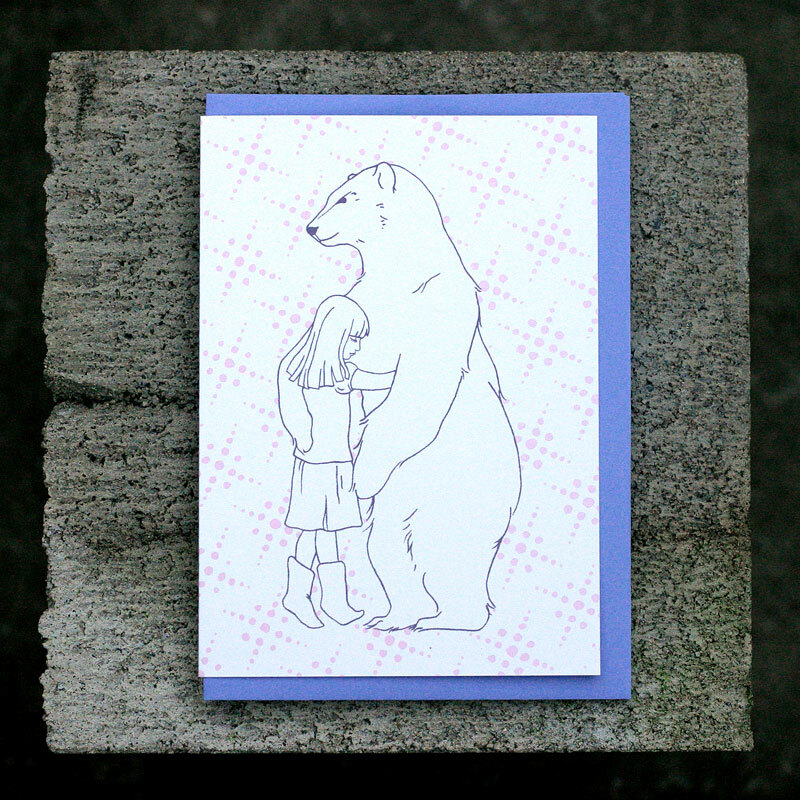 This standard sized greeting card features an original hand drawn image, "Bear Hug". So sweet! The patterned background (each dot individually hand drawn) is also repeated on the inside of the card in pale grey. Professionally offset printed in Sydney onto 70% recycled paper stock, this card is accompanied by a purple C6 envelope and comes individually packaged in a clear plastic sleeve. It is blank inside for your own message. This card is from Non-Fiction's "Graphite Winter" range of greeting cards. Actual card size is 150 x 107mm, C6 envelope measures 162 x 114mm.